I stopped by the 7-11 yesterday for the first time in years. I was thirsty and wasn't willing to wait until I got home for a glass of water. I grabbed a $1.59 bottle of Aquafina and headed to the checkout stand. A woman and her two teenage daughters were in front of me. They were purchasing three Big Bite hot dogs, a Slurpee, and a couple pieces of candy. From the way they acted, this seemed to be routine for them. They knew where everything was and how much it cost. There was some confusion at first as to the price of the Big Bites, but the woman was right and the clerk was wrong. The total bill was $7.21. “Oh, I have six dollars on the card,” said the woman, and she ran it through again. Sure enough, the card was accepted for six dollars. She paid the remaining $1.21 in cash. While I waited for the transaction to be completed, I examined two signs taped to the cash register. The smaller of the two read: credit not accepted for lottery transactions. The larger sign, which was hand-printed, declared: lottery tickets cash only. I felt like I was in another dimension, a dimension where charging lottery tickets was an acceptable investment strategy, a dimension where people knew to the penny how much room they had left on their credit cards. As the woman and her family left the store, I wondered what sort of advice a person could offer them that might have any practical use. I wondered what their future might be like. What would the woman do now that she had reached her credit limit? And why was she buying her meals at 7-11? There's a grocery store across the street. After paying for the expensive water, I climbed in my car and drove away. As I pulled out of the parking lot, I spied the woman and her two daughters sitting on a sidewalk in a nearby alley, munching on their Big Bites and sharing the Slurpee. They seemed perfectly content. There are 63 reader responses to "Convenience Store Economics". What if the lady was not using a traditional credit card, but a gift card of some sort? I have received prepaid cards as gifts and split a purchase with cash and the card, just like the lady you mention. If it was a traditional credit card, you have to commend her for at least knowing what her outstanding balance was. My wife just hates/can’t understand some people in our area. We have a large Hispanic immigrant population that is mostly lower income. The neighborhoods are usually older, very run-down looking, the yards are all dirt, etc – pretty stereotypical-looking. Yet, parked in the driveway is a shiny, brand-new Cadillac Escalade with rims and a huge sound-system. What worries me even more is that we’ve had a huge problem around here lately with companies taking advantage of the immigrant population – they’re given mortgages they don’t qualify for and can’t afford for more than 6 months, and then the bank forecloses on the house, turns around and does it again. Because of one business’ shady practice, our county has one of the highest foreclosure rates in Colorado. And we’re fervently saving up for a down-payment on a new car. I read your response and looked at the date. Looks like you made a prediction! It is now 2012 and what you thought DID in fact happen… The Great Recession. It’s possible that it was a gift card instead of a credit card. In that case, she wasn’t charging the merchandise. But the bigger question is why did she swipe the card for $7.21 if she knew that she only had $6 on the card? Just to play Devil’s Advocate here, are you sure she was using a credit card and not a gift card? I get these from time to time and tend to know down to the penny how much I have on them. I also tend to use these for things that I wouldn’t use my own money on. Are you sure it wasn’t a prepaid gift card? Most banks offer prepaid cards that work through Mastercard/Visa with stored values. You can easily check these balances online and know how much is remaining. It won’t let you charge any amount after that. Be careful of this quick rush to judgement. These cards may be an intelligent way to manage credit card spending by pre-specifying how much you have to spend, while allowing you the convenience of only carrying one card. Besides, $7.21 paid for a nice snack, drinks and additional extras for three people. For a little less than the same amount that they spent individually, you got a bottle of water. Marketing people probably have a profile of the typical convenience store customer and it probably isn’t pretty. It’s true that much about this woman’s transaction puzzles me. I suppose it’s possible that she was using a gift card (for 7-11?). But, as Mark wonders, why would she try to use it for $7.21 if she knew she only had $6? For that matter, why would she use a credit card for $7.21 if she only had $6? Do credit card companies really keep that tight a clamp on their users? I seem to recall going overlimit many times back when I carried one. I just got charged an extra fee and had to pay the excess. Are there different cards that refuse to allow excess charges? I found the entire experience mystifying. Not sure what the importance is of knowing the ethnicity of the previous commentor’s neighborhood is to this post, but whatever. Back to the post: It’s totally natural to wonder about the situation for that family. Seems to me they are used to living in the edge, financially. I’m willing to bet that the mother is perfectly cognizant of the grocery store across the street, however she could be equally aware that she probably couldn’t get enough in that store for what she could get at a 7-11. They were eating their food in an alley, what if whatever she could buy she didn’t have a stove for? Really, who knows. It’s stories like this that makes me believe we, as a society, have GOT to do better educating the population about how to manage money, no matter how much you have. I’m with the above people on the gift card. It could also be a flavor of debit card; some assistance programs restrict themselves to ATM/Debit cards now. The lotto ticket thing is indeed disturbing, though I think you could very reasonably extend it to the fact that we have lotteries at all. They’re state-run wastes of money for effectively every person playing, many of whom lack the mathematical (or commong sense) understanding of just what a complete waste it is. Left off something I meant to say – if it’s an assistance program card (or even something filled by a parent or friend) then she could very well know the amount down to the penny and still try to use it – perhaps that was right on the cusp of when new money normally goes in and she was going to try it before falling back on digging for change. JD, some people get their paycheck in debit-style cards. My company offers them. I’ve done split transactions at the grocery store on my debit card and with cash in my pocket if I didn’t think I had enough cash in my checking account that visit. BTW, all lottery tickets are always cash only. I can’t think of a state that allows people not to use cash. In fact, in PA lottery sales are a separate register/till in many stores. I know it is at my parents’ store. That’s to keep the lottery cash flow separate from the store’s revenue because they pay out tickets on the spot from that till. Then again, I find the people who mind their money the most are the people who have the least. I’ve never heard of a credit card being declined for a difference of $1.21. And for that matter one being decline for insufficient funds and then immediately being approved. Credit card companies would be more than happy to let you go over $1.21 and then charge you $35 for going over your credit limit. The same for debit cards and banks. But they’re also very skittish about fraud. If you swipe your credit card at the gas pump and enter your zip code or pin, you only get one shot, after that you have to inside and sign the receipt for verification. I’m 99.98% sure that she was using a gift card or a pre-paid card. Those cards automatically decline if you have less than the amount due on them. I was wondering if it was pre-paid debit card. I’ve seen a number of those and it’s pretty easy to know how much you have left. I’ve used my credit card to buy lotto tix occasionally. I live in Michigan. …might have been a debit card though. I forget. This reminds me (a little bit) about something I saw in a free local paper I get delivered weekly to my house. There is a section for people to anonymously sound off on anything that is on their mind. The one I saw on the front page today was from someone complaining about well-to-do senior citizens coming to bingo halls because it was taking away opportunities from younger people with kids who really need the money. I sort of sat there, trying to take it all in… that someone out there is looking to bingo as a viable way to make ends meet. I almost threw up in my mouth a little bit. It is interesting to speculate on others behaviors and it is also interesting that we tend to assume negative rather than positive conclusions. Maybe the lady and kids had no food and only $6.00 and change to get a meal. Maybe there was no electricity on to cook. We’ll never know. Your point on wasting $ at convenience stores is quite valid. I’m actually more concerned about the nutritional value of their dinner than the economic value. Yikes! Even so, seven dollars and change for a couple of hotdogs & a slurpee is scary, regardless of how they paid for it. Not everyone has the same life you have. Not everyone has a house and stove to go home to. Not every card swipe is a credit swipe – regular ol’ bank accounts are tied to these now, too, let’s keep in mind. One had better hope that folks know down to the dollar what’s in their bank accounts, regardless how one feels about their purchases. Assuming everyone has one’s exact same means and situation is an ill that will pollute even the most well-intentioned and useful advice. Grace, part of the point was that convenience stores aren’t very conducive to smart personal finance decisions to begin with, but rather convenience at a cost. If someone doesn’t have a house or a stove to go home to, then frequenting the 7-11 may very well be a contributing factor; and unlike other unfortunate circumstance, these behaviors do deserve to be questioned. If for no other reason, then because we all fall prey to the convince store urge from time to time. As for the credit card vs. debit card line of thinking… doesn’t most banks these days like to provide the automatic overdraft protection so they can bend you over backwards when you go over that $1.21 ? If it was a prepaid card, and they knew they only had $6 to begin with, well, at least every person I’ve seen in the grocery stores using the gift cards already have the additional cash necessary and doesn’t need to round it up from their kids. However, I constantly see people using nearly full credit cards in the ‘hope’ that it will take it. 7-11 is scary no matter what. As far as charging lottery tickets, I understand why they don’t do it, but I have tried. That being said, I basically put everything on my credit card. A few years ago I charged my rent! Why? Because i treated my credit card like my bank account. I kept a register and recorded every payment, and never spent more than I earned, and never carried a balance. The card is a cash back rewards card that would give 1-2 percent back. By paying rent alone i would get 50-100 back every year. A little off topic, but the negative attitudes about convenience stores are a little outdated. Most of them are far more competitive price wise than they used to be. For example, a gallon of milk at the WaWa near my home is cheaper than a gallon of milk at the Ukrops grocery store across the street. Further, the Deli at WaWa makes a mean sandwich – far better than Subway for about the same price. I play lotto occasionally, but they won’t let you use a debit card in Texas. I am without cash 99% of the time, so it’s probably for the best. I’ve been a mailman for 25 years. For the people trying to explain this away; get over it. Every route I’ve been on has had at least one homocide on it-the joke in office is if I bid a route somebody is going to die. Low income people live this way, adjust! By the way I work in a majority white town. It’s about your choices you make in life. I known it’s Friday by the line outside the liquor stores. Adam: That’s rather my point. No one here knows that individual’s precise situation, and yet there are quite a lot of shoulds being handed out. Yes, give advice, good advice, and keep doing it. And learn from the mistakes of others, certainly. But don’t _judge_ others based on *your* values, circumstances and experiences when there’s absolutely no way to know that individual’s situation beyond the tiny hint seen in the momentary crossing of paths. It’s always intriguing to me how agitated complete strangers get over other people’s money, particularly folks who are still learning how to take proper care of their own. Actually, sounds more like a food stamp card to me, based on your description of the transaction. even most debit cards will happily let you go over your limit so they can sock you for that $30 overdraft fee (or so I’ve been told…). There are some companies that now issue paychecks directly to a prepaid debit card. This form of payment is great for those without checking accounts. It is possible that is the case. I also understand from JD’s point of view. It is very difficult to know the full situation, but from the outside looking in, it does not look like a situation most people would prefer to be in. I don’t think JD’s intention was to judge this woman and her daughter, but rather, to bring attention to the fact that some live under different economic circumstances. The title is “Convenience Store Economics.” And this post is a lesson in just that. Remember that “declined” doesn’t automatically mean you are over your limit..it could be a late payment, or fallem behind in payments. And, I could be wrong, but I do not believe you can use a “food stamp” debit card for slurpees and candy bars at 7-11. But, if you can, that needs to be changed immediately!! But the thing is, Afloat, you don’t know. All you have is pure conjecture. And really, what does anyone get for that? Just the continual perpetuation of judgements and stereotypes based on very little information. There are very little facts here, but some people feel the need feel the need to fill in the gaps with their own limited experiences, views, and yes…biases as if it were fact. I think this post says a lot more about commentors to it, than the family it’s about. That’s a whole ‘nother post. What puzzles me is why *you* didn’t go across the street if the water was cheaper at the grocery store. I’m not proud of my $1.59 bottle of water. No indeed. One time, as a date night, my husband and I each took $5 and headed to our local convenience store to see what crazy goodies we could find (a strawberry cigar, plastic ping-pong set, a can of smoked kipper, crackers and lots of candy). Being from North Jersey, I’ve only had the pleasure of visiting a WaWa once or twice and it’s insulting to think of it as merely a convenience store. It’s one of the most well run operations with the friendliest staff I’ve ever seen. No, technically you can’t use foodstamps for slurpees and hot dogs at 7-11, but that rule is enforced (i.e. ignored) by the store as part of the agreement they sign when they start taking food stamps. The card system only tracks debits, not an itemized list of what people are eating. Do I think this is a sensible system? not particularly, which is part of the reason I no longer work as a food stamp caseworker. But I also think that was no greater sin than any of us walking in to grab a slurpee and hot dogs. (or an overpriced bottle of water). My question is… Why are you BUYING water at a 7-11!? I applaud your compassion and willingness to take differing situations into consideration, but in the end, we are all directing and starring in our own movies. Of course we don’t know the whole story. We project ourselves into a few seconds of someone else’s movie and make judgments based on our own script. It’s human nature. Nutrition is important to me, so that is the framework through which I view the interaction J.D. has recounted. Seven dollars seems ridiculous for food that does not nourish effectively, and it inspires me to think about how I feed my family and how I can do better. Someone else views things through a different but equally egocentric framework and remembers the time he charged a meal at McDonald’s and realizes that he has now paid interest for his long-gone french fries. Anyway, my point is that I think you’re getting all wound up about something that is a normal part of any public debate. $7 for 3 “grown” people to “eat” sounds like a pretty good deal to me. Over here, we have debit cards that are explicitly tied to your bank account so that the money that is charged has to be in there or it will be declined. Do you have those in the States? Living hand to mouth as implied has got to be pretty hard. You’d probably want to treat yourself with whatever it was that they bought. Like everyone else said, it could have been a gift card or a check card. Not being able to buy lottery tickets with a CC does annoy me, because I rarely carry cash and use my Visa check card for everything. I see the reason for the law but I still don’t agree with it; I’m of the mindset that if someone wants to ruin their financial situation by charging thousands of dollars in lottery tickets, that’s their choice. They could just go get a cash advance off the same card and pay cash for the tickets, with the same end result. Loaf of bread, jar of peanut butter, 3 apples. Healthier meal, near same price. And when your done you still have half a loaf of bread and almost a whole jar of pb. No stove required. Still, buying junk food, and overpaying for it at that, it doubly unwise. Like most people have said, it probably was a prepaid gift card. But I don’t know that anyone can assume her intentions for making the purchase. It doesn’t have to be the case that a convenience store meal is her primary way to feed the family. It could just as easily be that she was taking the kids out for a treat, and that’s the place they like to go. When I was a kid, my mom took us to McDonalds, and we’d always get the same things there too (cheeseburger, pop and fries). We knew what it costs, cause we’d get the same thing when we’d go out, but that’s not where we ate our daily meals. There do appear to be a lot of variables. Maybe she didn’t have a stove. Maybe she’d already eaten peanut butter sandwiches the last few weeks. Maybe it was a debit card that was soon to be replenished from some source and she was taking her kids out for a treat. Unless you’ve ever been a single mother, you really can’t fault her. I don’t think it matters if she was using a debit card, credit card, pre-loaded card, food stamp card, etc. Or what her motivations were. My first thought was $7 and change was ridiculously low for a purchase of 3 hot dogs, a slurpee and some candy. *I* can’t judge this woman because *I* have handed over my credit card knowing that I am bumped up to the limit and *I* have held my breath praying it won’t be declined. Maybe not at a convenience store (but then again maybe so — it’s not like I’ve never stepped foot in one). I found that sometimes it would be declined when I thought it wouldn’t be, and other times it would go through. I haven’t had my credit (or debit) card declined for a long time now, but I had a serious enough habit of it that it *still* crosses my mind now when I fork over the card (mostly nowadays I just wonder in awe that I don’t have to worry anymore because the bill is paid and the balance is way below the limit). I also can’t judge this woman for her nutritional choices. Granted, the thought of a meal of hot dog, slurpee and candy doesn’t appeal to me and it’s not good eating. I’d really prefer she feed her kids something better. However without knowing her it does nobody any good to get all righteous about her bad choices. That’s what really irritates me. It does none of us any good to get judgemental. It could have been you feeding your kids crappy food from a convenience store, with hardly a dime to your name. Don’t think it couldn’t have been. I don’t have a problem with passing judgment. It’s nature. The question is what you do with that judgement. Do you use that judgement to look down upon people or do you use that judgement to think about we haven’t been all blessed with the whereabouts to make our lives better. Viewing a situation and making judgments about it is normal human nature. It’s how we define ourselves and our situations. We’re not talking about righteousness. Nobody walked up to the woman and chastised her for her purchase. As I wrote before, we’re all directing and starring in our own movies. Hopefully, we’re all confident enough in our life choices to handle a little criticism, especially when it’s anonymous. This is an excellent post to really make us thing about how we choose to spend our money. I linked to this one on my blog. I will be the first to admit that I will buy stuff at a convenience store too, just not even on a semi regualar basis. Why? Because for me, it is a dumb way to spend money, but the times I do go to a C store, I am happy to pay for the convenience. Maybe the woman and her kids were in the mood for a greasy big bite? What’s so wrong about that? How do you know it wasn’t a gift card? I get gift credit cards sometimes… when I have gift card I always say charge some on this and the rest on this. This situation is familiar. Your water for one person was $1.59. The woman and her two daughters (3 people) paid for a drink and candy $7.21 (roughly $2.40 each). In my opinion that is not that bad. I’m not a fan of 7-11 but sometimes its fun to walk down to our local 7-11 and buy a Slurpee and some yummy Doritos, or sometimes a yummy ice-cream treat. I can’t walk to my local grocery store and we don’t buy junk food when we go to the grocery store so sometimes a 7-11 trip is just what we need. I recommend Nickel and Dimed as a good read for anyone interested in the financial health of lower wage workers. Thank you for posting your convenience store experience. I appreciate that you took a risk that you’d be criticized for sharing the situation with us, however, reading it reminds me of my desire to be able to assist the economically vulnerable once again. The lives and life choices of the poor and homeless can be confusing to those who live a relatively predictable life. I must say that for them, simple everyday living can be equated to crawling the infiltration course at a military bootcamp: they are often battling medical problems, dodging unemployment, underemployment (thank you Mr. Bush), facing interpersonal struggles, leaping around marital separation, struggling against hunger, etc. The women described could very well be homeless. We could be seeing more of the scene you described as the acceleration of foreclosures continues. In the days when I used to live paycheck to paycheck, I often found myself in that situation – using a debit card with the visa logo (that can be used as a credit card). With those card, it’s easy to tell how much money you haveleft, so I’m sure that’s the reason why she knew the exact amount. This is a VERY true statement, and in terms of the situation with the woman and her 7-11 purchase, she is on the fastrack to nowhere. Trying to budget at 7-11 is not really much of a budget. It is a strange univere indeed. I’ve been there, and it’s just mainly due to the fact that I honestly didn’t know any better. Maybe she’s in that same boat. There have been times ( long in the past and I hope they stay that way) when I used a debit card ( not credit, not that I didn’t use a lot of that too) for $2.00 of gas or a snack when I had, say $2.12 in my checking. The sign is because lottery ticket purchases can’t be refunded once the ticket is printed if the credit card is declined (or the check bounces, etc), in case you’re curious. That doesn’t speak to the wisdom of buying lottery tickets that way, though if it’s treated as entertainment and not investment, buying it on credit is no worse than buying baseball game or theater tickets that way. Do you really think there’s no incremental enjoyment in purchasing a lottery ticket for the people who do it? I think for many it reminds them of their own temptations and failures, and they’re so eager to separate themselves from their own weaknesses and bad history that they rush to condemn those still struggling. For what it’s worth, though, JD, your post didn’t come across as nastily judgmental. I second the recommendation above for Barbara Ehrenreich’s Nickled and Dimed if you want a further look into this shadow economy. I don’t think anybody has to have walked up to this woman and chastised her to fall into righteousness. And yes, that is different from exercising judgement. My own honest reaction to this woman was to feel sad for her, because my natural instinct is to assume the worst — that she’s poor, down on her luck, and doesn’t really have a clue how to do better for herself and her kids. So yes, I’m judgemental too. But at least I know better than to rationalize her behavior with a story I make up for her, or assume that I am any better than she is. 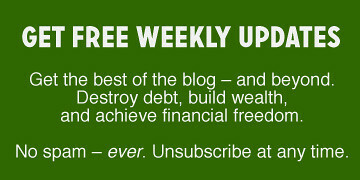 This is a blog about making good financial decisions. The the original poster posted a commentary about what seems to be a not-so-good financial decision. It doesn’t sound like anyone is eternally damning or “condemning” this woman or her family – just rethinking her purchases for purposes of illustrating the potential impact of day-to-day decisions. At least that’s how I read it. Shaz, I hear your point. But for someone who stands so firmly against making assumptions about others, you seem to have some pretty strong assumptions about the economic situations and backgrounds of the posters, no? The assumption that she’s poor just because she’s in 7-11 buying a hotdog is just as judgmental. So why WAS the original poster in the 7-11 when there was a grocery store across the street? So they spent $2.40 per person for protein and a grain (in theory), as well as some liquid and sugar. The grocery store probably sold buns for 30c and wieners for 30c. Add 10c for condiments (esp if they had kraut and onions). So they’ve spent 70c before tax. Say 75c for a hot dog. This leave $1.65 for the sugary drinks and sugary snacks. They have no real health benefits, but do deliver a quick burst of energy and some liquid, if we stretch our imaginations. JD spent $1.59 for water and I imagine there was tax and a deposit on top of that. So he probably spent more than $1.59. My sister-in-law used to flabbergast my mother by getting 20$ at a time from the ATM (No doubt for beer or cigarettes)… with a $2/transaction fee. I think we all have to make choices, and sometimes the thinking process is more important than the result. Yes bottled water is pricy, sometimes even more than soft drinks, but still less than pure fruit juice. Buying bottled water may not seem frugal to everyone, but i think frugality is mostly about putting your cash where it is worth more to you. On a health point of view, buying bottled water is better than driving way too fast to get home sooner and drink free water, still the best thing to do would probably be to refill that bottle and keep in the car ‘just in case’ for next trip. I found out i drink much more water when it is free and easily available. for dessert, a ripe banana can cost as little as $0.20 in a grocery store. better yet, no refrigerator or stove is needed. that family might have eaten cheap healty food all week and that meal out was a way to spend good time together, or maybe the habit of eating out too much forces them to eat cheap food for the rest of the month to pay rent for the next one, or they just starve for 3 days before every paycheck. i’d rather spend money on healty food now than on prescription drugs later, regardless of price. actually, buying stuff that is not needed isn’t that bad as long as you know that it is for temporary pleasure. it gets dangerous when you begin to rationnalise those purchases as necessities, like pretending a treat is a meal… a sports car is just needed fot daily commute… a 3rd bathroom can’t be lived without even when only 2 people live in the house… more money makes for bigger financial mistakes, but i think rich people are not judged as severly as poor people. J.D, 7-Eleven has their own gift cards, so that’s probably what she was using. And as someone said earlier, most lottery tickets can’t be cancelled once printed. Also to protect the merchant from chargebacks, most don’t accept credit cards for lottery (or money orders). These items have little or no profit margin. And finally, at least go for the Classic Selection water that 7-Eleven sells, it’s about 30 cents cheaper! Or walk across the street to the grocery store!! !